Short-winded. There are many affordable multimedia laptops that even manage up-to-date games in medium to high settings for around 600 Euros (~$813). 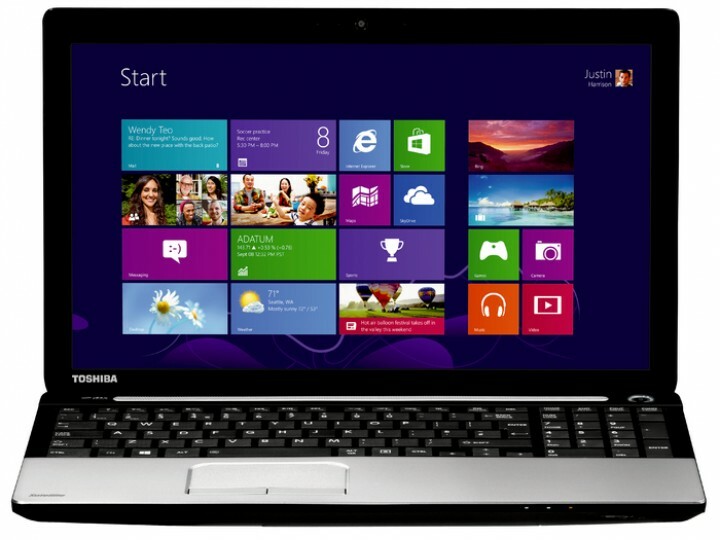 Toshiba's Satellite C55-A-1D5 is no exception. However, it exhibits shortcomings in ergonomics, build and, above all, battery runtime. This is a cheap and cheerful laptop that's fast but with a short battery life. It has a few too many flaws to recommend it outright, but don't rule it out as a cheap student or family laptop. At first glance, the Toshiba Satellite C55-A-1D5 looks like a great deal. Despite its budget friendly price, its powered by an Intel Core i5-3230M 2.6 GHz processor with 8GB RAM, and equipped with a 1 TB 5400 rpm hard drive. One thing that remains firmly on the cheap side is the build quality. The white plastics body definitely does not give the Toshiba Satellite C55-A-1D5 a premium feel. However, it seems like a well made device. With a 15.6 inch screen and weighing in at 2.3 kg, it is not the most portable device. The 1366x768 resolution screen lacks definition and washes out colors. The viewing angles are decent enough. In light of the hardware included, the performance is pretty great and it will get through moderate and light tasks well enough. It also handles multitasking decently. Surprisingly, it handles intensive games in its native resolution well, making this a great all-round device. The battery life is dismal, but the Toshiba Satellite C55-A-1D5 does not seem to be built to be very portable, most users should expect to spend a majority of their time using this machine while plugged in. Overall, despite disappointing screen and battery life, this is a great budget machine at a great price. Unfortunately there are better options out there in the same price range.